Texas’ 2020 recruiting class grew to three members on Thursday night when three-star offensive tackle Jake Majors pledged to the Longhorns. The Prosper High School product joins fellow offensive lineman Logan Parr and four-star quarterback Hudson Card in the 2020 class. All three prospects will be members of the 2020 Fabulous 55 when it’s released in February. 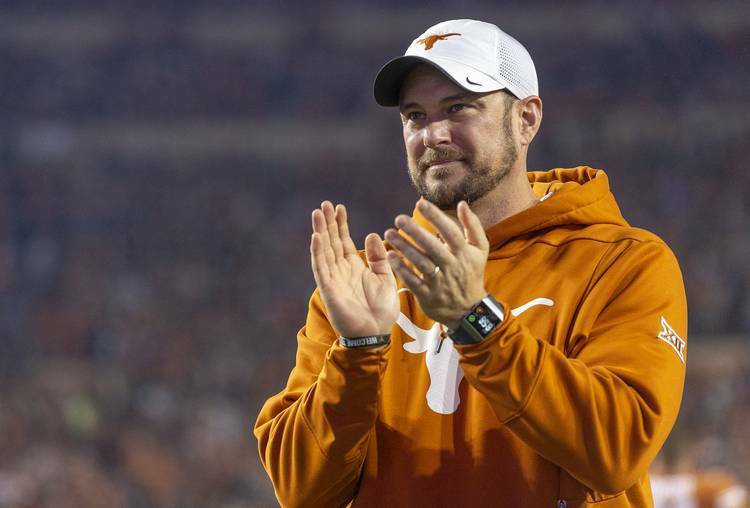 The Longhorns need a strong offensive line crop in the 2020 class because of the amount of in-state talent coupled with the need for new blood for assistant coach Herb Hand to mold. Texas signed just two offensive linemen during the early period of the 2019 cycle and likely look to the JUCO or grad transfer market for immediate help in 2019. That leaves spots open for a big group of big men in 2020. The commitment of Majors gives Texas two of the top-rated offensive line prospects in the state before the 2019 class reaches national signing day. That’s real momentum gained from winning 10 games and beating Georgia in the Sugar Bowl. The Longhorns hope to add other offensive linemen like Chad Lindberg, Damien George and Jaylen Garth to their current duo of pledges. Lindberg and Garth were on campus with Parr and Majors this weekend.